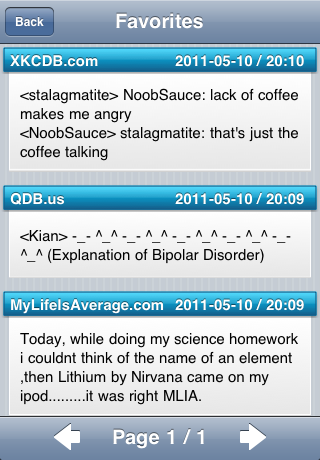 Do you like to read quotes from bash.org and qdb.us? Or read stories from life? 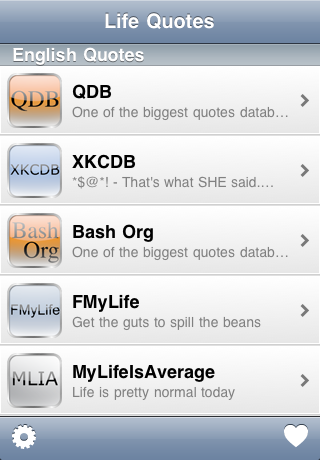 “Life Quotes” is iPhone application that helps you to read all this from popular sites in on place. 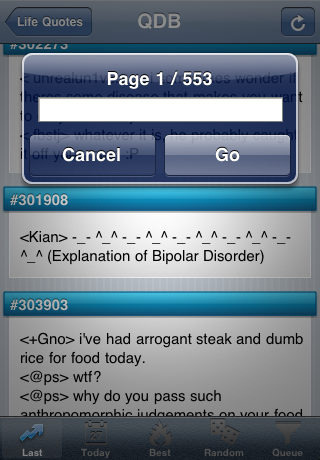 With this app you can read almost all pages from sites. It’s support English and Russian sites and contains english/russian localizations. 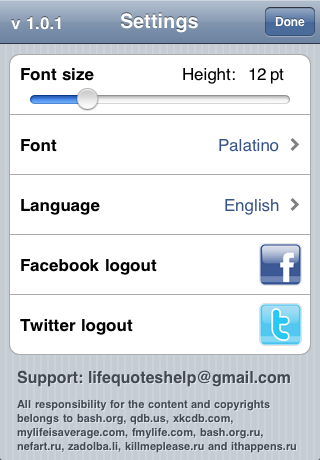 When you long press on the quote you can see dialog to change page(if possible). 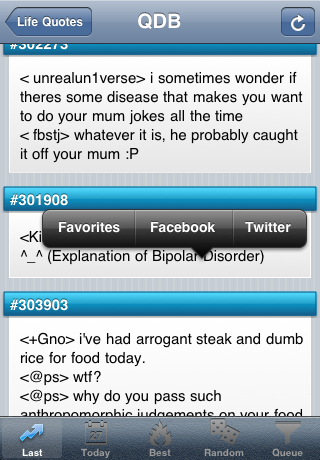 On double tap you can share quote on Twitter and Facebook(if possible) or add it to favorites.